Sean is a life-long sailor who has competed nationally and internationally in keelboats of varying classes and sizes. 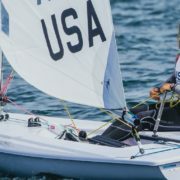 He’s competed in offshore races including the Pacific Cup, Coastal Cup and the Vallarta race. 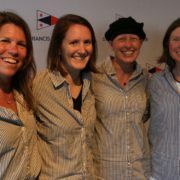 Most recently, Sean was a member of the St. Francis Yacht Club team which won the 2011 Hinman Master Regatta at NYYC. Sean is very passionate about all aspects of sailing and hopes his continuing role as a Director of the Foundation will help grow all levels of the sport. Sean is Vice President and Chief Operating Officer of a full service boatyard and marine distributing business. He graduated from Cal Poly in Business/Finance and holds a JD from Santa Clara School of Law.